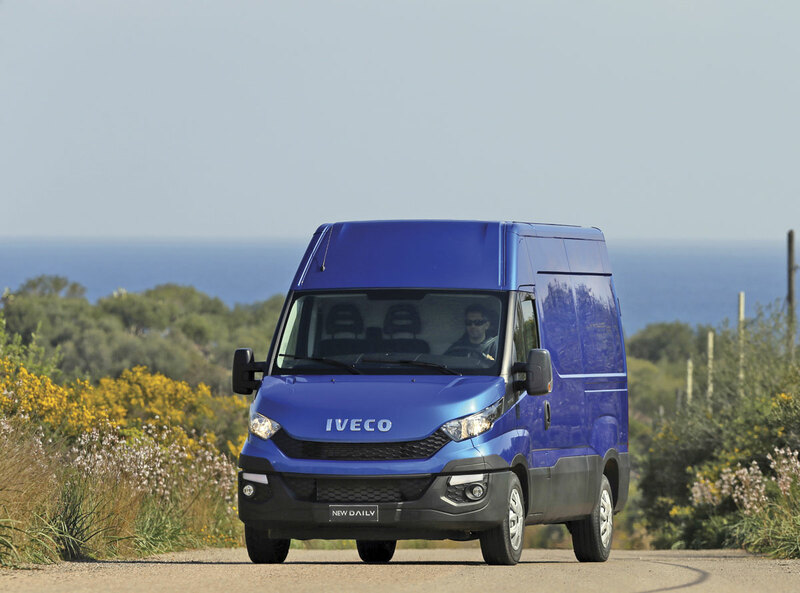 Despite its best efforts Iveco has always had to take second place to Mercedes-Benz in the world of mass produced panel vans, particularly here in the UK. This stems I believe from a perception amongst British operators that it lagged behind Mercedes-Benz in terms of design and specification. It also had a poor reputation in the past for quality, durability and reliability and this was particularly the case with the power unit. Some of this was justified, although there is no doubt that stories about the product did get embroidered along the way. Iveco perhaps didn’t help itself by confusing the market over what product it was buying – was it an Iveco or was it an Irisbus? Added to that Iveco was slow to upgrade its dealer standards particularly in the areas of maintenance and the special needs of people operating passenger carrying vehicles. I’m not singling out Iveco here because some of the same criticisms applied to other manufacturers not the least Mercedes-Benz. It was just that Mercedes-Benz were quicker at identifying the problems and doing something about them. A big step forward Iveco made was the introduction of the then new Daily in 2006. This was a completely new range of vehicles offering gross vehicle weight options from 3.5 tonnes to 7.2 tonnes which was well designed and well manufactured. Along with it, they introduced stunning new engines: the 2.3 litre and 3.0 litre four-cylinder, direct injection, common rail, turbocharged and charge cooled units, using variable geometry turbocharging for the higher powered options. 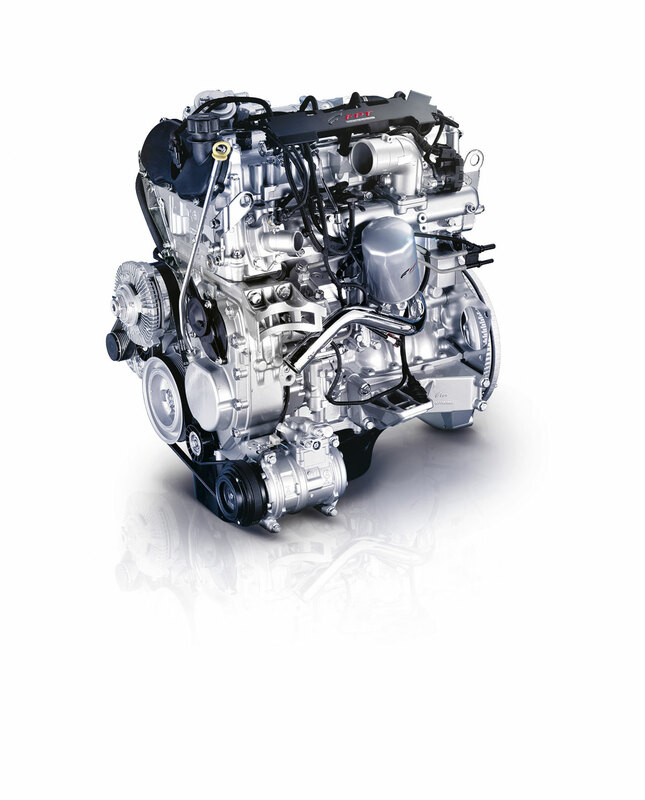 The new engines produced not only high power but also massive torque available across a wide speed range. It delivered these improvements whilst maintaining excellent fuel economy. The Daily set new standards in terms of performance, reliability and economy, not just my views, but those expressed to me by people who have bought them and run them and yet the stigma surrounding Iveco still persists in the eyes of many British operators. One area where the Daily lagged behind Mercedes-Benz was in transmission. The new Daily was built with two types or transmission a six-speed manual and a six-speed automated unit called the AGile. Both transmissions were marketed as Iveco products but were in fact produced by ZF. 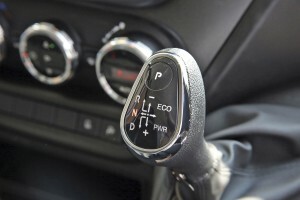 There was absolutely nothing wrong with the six-speed manual, it is equally as good as the one used by Mercedes-Benz. The AGile however is a different kettle of fish. It was not universally popular and indeed some people absolutely hated them. When Mercedes-Benz moved forward to begin fitting the Sprinter with the 7G-Tronic and now 7G-Tronic Plus fully automatic transmissions the gap between the two marques opened up. Now in my personal opinion the AGile transmission’s reputation is unjustified. There is nothing wrong with the transmission provided you drive it correctly. Therein lies the nub of the problem, many people tried to drive it like a manual and got frustrated when it wouldn’t perform like a manual, and of course the fact that they couldn’t drive it properly was the transmission’s fault not theirs. The AGile performs perfectly if you let it. Because of the way the transmission operates there is a slight delay when changes are made. Early versions were a little bit slow, especially on initial take-up, but in more recent times with upgrades and fine tuning to the computer software that controls the transmission, those dwell factors have been all but eliminated. I followed the development of this transmission by ZF over many years. I originally drove it in a vehicle with a ZF technician sat beside me operating the software from a lap top! As a result of that I knew right from the start how to use it and I have never had any problems. It is simple; let it do its own thing. If you leave it alone it will perform perfectly and you will achieve changes virtually as good as an automatic. The one thing you will never suffer from with an AGile fitted Daily is a burnt out or stripped clutch! Incidentally the Fiat Ducato uses the same transmission although under a different name – ComfortMatic. 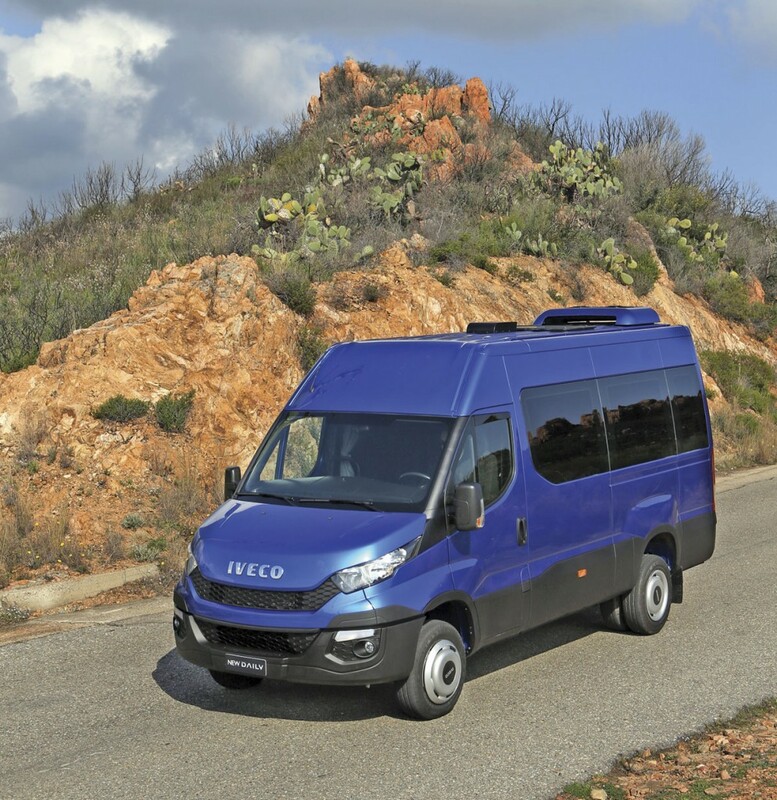 Last year Iveco introduced a completely new Daily called, unsurprisingly, the Iveco New Daily. This wasn’t an upgrade it was a completely new vehicle although it carried over much of the specification from the previous one. Included in that were the two excellent engines, now even further improved with emission control to Euro5b and Euro6 using AdBlue. The marginally higher powers and increased torque are both achieved at lower rpms and as a result even better fuel consumption can be achieved. Iveco also carried over the two transmissions; the six-speed manual and the AGile automated six-speed unit. Rather strangely only months after introducing the New Daily, Iveco announced that they were replacing the AGile transmission with a new eight-speed automatic unit called the Hi-Matic. One can only surmise that there was a delay in the production of the new transmission and that Iveco was already fully committed to switching its factories to the production of the New Daily and could not delay that, so had to stick initially with AGile transmission. Supplies of the New Daily with the Hi-Matic transmission are starting to come through although I have yet to find either a van conversion or a chassis converted for PCV use that has the latest transmission. However, I was very anxious to get my hands on a New Daily with the new transmission and through the offices of my friend Nick Santon at the Iveco UK Press Office I have been able to do that, albeit in the van version. 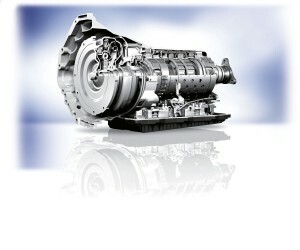 The ZF eight-speed Hi-Matic transmission is already found in premium cars such as Jeep, Maserati, Bentley and Rolls Royce. Having eight speeds makes it easier for drivers to ensure they are always in the optimum operating range. Hi-Matic also changes gear quicker and more precisely than even the best driver on the planet, needing less than 200 milliseconds for a gear shift when greater acceleration is required. Its wider range versus a traditional six-speed transmission also ensures a faster and more precise gear change. Hi-Matic offers an average four per cent reduction in fuel consumption and a four kg weight saving versus the previous generation AGile gearbox. Hi-Matic has been proven independently to be the best in its class with a score of 8.5 using the SAE ranking benchmark, which measures every aspect of performance from hill starts to sequential gear change comfort. It has also been praised under testing for its exceptional flexibility, efficiency and fuel economy. The towing strength of the previous generation AGile transmission has been retained, with the ability to tow loads up to 3,500 kg and guaranteed optimal acceleration even from a standing start on an incline, assisted by the Hill Holder system (an anti-rollback function for uphill starts) that comes as standard with all New Daily’s. Hi-Matic is suitable for use in New Dailys operating with up to a 10.5 tonne gross combination weight, important considerations if you regularly tow luggage trailers or bike carriers. The Hi-Matic transmission can be specified on New Daily van and chassis cab models from 3.5 to 7.2 tonnes, and with engine options including the 106bhp and 126bhp 2.3 litre engine, as well as on 3.0 litre engines at 170bhp (light-duty & heavy-duty variants) and 205bhp. Iveco have also introduced an interesting feature on the transmission which is that you can use it in two ways. It has an economy (ECO) setting for maximum fuel economy and a power setting (PWR) when a bit of extra umph is needed. You can switch between these two settings with ease as I found when I drove the Hi-Matic fitted New Daily. In effect the ECO setting caps the maximum amount of revs in each gear whilst the PWR setting allows you to use all the available revs. It also has a manual change option as well. The Hi-Matic is further available in three different versions Urban, Regional and International. Urban is for operation in town and city centre traffic on a daily basis, delivering maximum driveability and comfort thanks to a self-adaptive shifting strategy which adjusts the gear shifting control logic, choosing between 20 different programs. The Regional option, which most will probably choose, offers outstanding performance, with a choice between economy (ECO mode), offering smooth and low speed gear changes carried out to keep fuel consumption to a minimum, or Power (PWR) mode, which carries out gear changes at higher speeds for enhanced performance. The International option features a double overdrive gear ratio and turbine-torsional-damper torque converter to guarantee improved fuel efficiency on long journeys at high average speeds. I started my drive of the New Daily in the unlikely location of the Travel Lodge car park at Charnock Richard services on the M6 where Iveco were holding a New Daily Open Day for the local press. They had a range of New Daily’s available but I was only interested in the one fitted with the Hi-Matic transmission. I was delighted to find that the vehicle was fully loaded to its maximum GVW so I was going to get the opportunity to give it a real test. It also had the Regional transmission setting. As it happens I used to live in this area when I worked at Leyland and know it well. My companion, one of Iveco’s demonstration drivers, didn’t and as I was the first client of the day he let me decide where to go. That suited me because I knew that in the area, which is essentially the flood plain of the River Ribble and therefore pretty flat, there is one isolated fearsome hill – Parbold Hill which I intended to take in on my tour. I climbed into the cab and got myself set up. Like all the modern vans from the main manufacturers the cab on the New Daily is superb, eminently comfortable, easily adjustable to achieve a perfect driving position and with all controls and instruments just where you want them. I selected the ECO position on the gear control and headed out. The difference between the Hi-Matic and the AGile transmission was immediately apparent – not even a fraction of dwell, instant take-up and from then on smooth progression up and down the box with the ratio settings being just about perfect. The immense resource of power and useable torque of the 3.0litre engine, despite being fully loaded, meant speed rose quickly and above all smoothly and quietly. At times it was hard to believe this vehicle was fully loaded it was so on top of the job. This area is littered with speed restrictions backed up by cameras so the availability of the ECO setting is a major benefit. It presented no problems and at no time did I feel the need to switch to the power setting. I was highly impressed by the new Hi-Matic transmission. It is so smooth in operation that changes are barely detectable. I was equally impressed by the smoothness of the engine and above all the quietness. Having driven for about an hour and been thoroughly impressed by the new transmission, we finally reached the foot of Parbold Hill. It rises 400ft in less than a mile and in places is as steep as 14%. The road is also winding. I decided to engage PWR before I tackled the climb though in retrospect I probably didn’t need it. The difference between ECO and PWR is instantly noticeable by a slight rise in engine noise. We hit the bottom of the hill and it just simply flew up it. Despite being fully loaded it never dropped lower than third – very impressive. There was never a moment when I felt the need to select the manual option which effectively allows you to hold gears. I finished off my test drive by giving the vehicle a blast up the M6 using the PWR setting. It was quite stunning. Up against the limiter it just cruised along effortlessly but above all quietly. I really do urge operators and vehicle converters to get their hands on a New Daily fitted with the Hi-Matic transmission and take it on a test drive, you will be impressed, however sceptical you may have been about the brand in the past. So why do I say have Iveco stolen a march on the three pointed star? In New Daily Iveco have a vehicle which is every bit as good as the Sprinter in performance terms, to my mind the new Hi-Matic transmission is every bit as good as the 7G Tronic Plus and possibly even better and with optional Urban, Regional or International setting the option for an operator to fine tune the vehicle to the operational requirement is a huge bonus. Finally and, perhaps most importantly, the New Daily has an approximately two tonnes advantage in gross weight. Higher gross weight equals more seats! 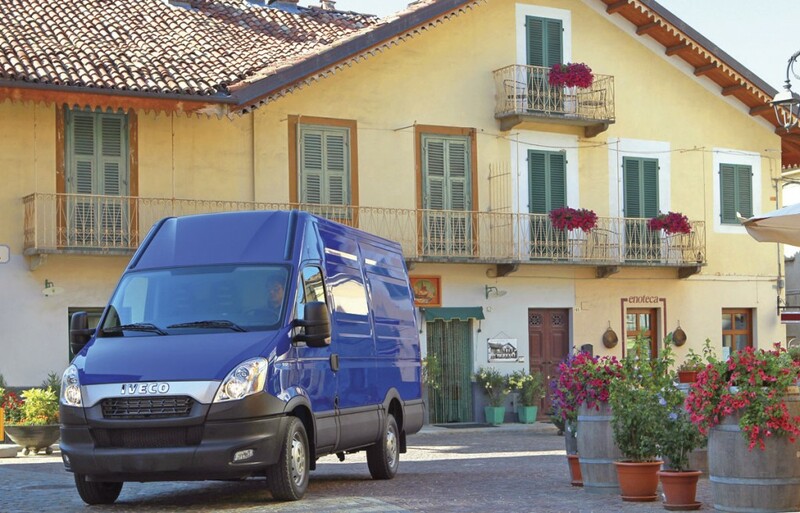 We’ve been promised a seven tonnes Sprinter for ages but until, and if, that ever appears Iveco definitely has a major advantage over the three pointed star in this market.